This is exactly on point with the season flavors, it is warm and comforting and delicious. To make it a complete meal, I added sautéed Italian sausages and steamed cauliflower in the soup. Some crispy quinoa would even be delicious on top! 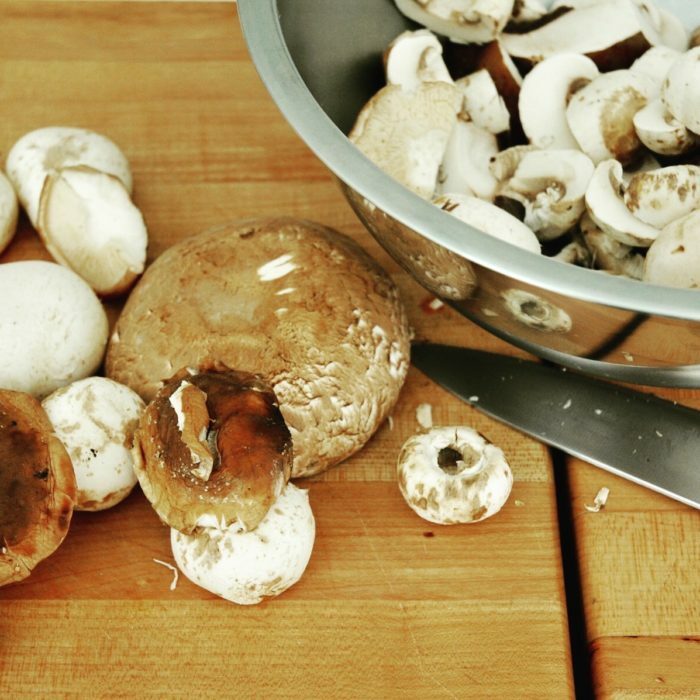 For this recipe I used a mix of portobello and crimini mushrooms.... I have tried it with many different variety and everything works, so feel free to experiment! Sauté the onion and celery with the olive oil for 3-5 minutes. Add the chopped mushrooms and cook for an additional 7-8 minutes. Add some salt and pepper to taste and the fresh herbs and stir for 1-2 more minutes. Add the stock and cook for 15-18 minutes. Using an immersion blender or a food processor, purée until smooth.